Ask me not how to define happiness. And squeeze me not that I am from GNH(Gross National Happiness) nation, Bhutan.I don’t know what it is. Sooner or later I got this message on facebook, my mind strikes to write something about the happiness day. The message it says, ‘Happiness day. If you got this message it means you are happy and will be happy always .Send this to at least 15 other people in the next 143 minutes and tomorrow will be your best day ever. Tonight at 12 o'clock your true happiness will be there and will last forever. Something good will happen to you from 1pm-4 pm tomorrow. Get ready for the biggest shock of your happiness in your life. If you break this chain you will be cursed with problem and your happiness will never come...I just got as form somebody’. Ask me not how to define happiness. And squeeze me not that I am from GNH nation, Bhutan. I don’t know what it is. I only know that I need it, want it and I crave for. But I am sorry for my failure to define it. I heard of happiness but not about the day to be observed. For the first time I am hearing this, “international Happiness Day”. Well, maybe it has been observing, may not be all around the globe, but to some pocket of the society. For Bhutan and Bhutanese I presume it’s the first day that you’ll record in your diary as special note for you definitely need happiness around 24x7. It is the sense of relief. Relief from regular classes here in my college. It itself is a happiness and I am happy today. Are you happy enough to celebrate the day? What if not you are happy? Does it contradict with the real meaning of the day? How you will celebrate it? Ahh! Again, what is happiness? Does it come in bits and pieces? Or does it come in like tsunami? Or else you will count how many times you were happy on your fingers? Development of the world is so sky-scraping. The technology made every impossible possible. It’s no wonder for when you see a man land on moon, dive the deepest oceans, and climb the highest mountain. The fresh green land has turned to a thick and sturdy concrete jungle. The moment of your thought and if acted you’ll be in your desired destiny within few seconds to the least, and hours to the maximum. What about the human beings on earth? With technology does their happiness skyrocketed? Or just comfort increases? And who is responsible for the advancement in technology? If people ourselves are responsible who we cares about our happiness? When technology is for all, why not happiness for all? Is it due to greed of one or two? If it were not greed of someone for name and fame world would have been like heaven. What constitute the earth? Forget about non-breathing. There are millions animals running away to safe their life, there are millions plants standing helplessly when rowdy people triumph over them for their comfort which ultimately affect them one way or other. The environment is important. The development paradigm that sticks on gross domestic product is still ruling the world. How much we have grown is measured corresponding to how GDP has grown. I can’t point for meaning it is not worth the happiness of the people. It is not seed sown by someone who can be questioned. It is the very idea of someone who is expert and at last we are more into materialistic life. What when you forget and shun your own culture and tradition and blend those with modernity? There are millions cultures and traditions that hasn’t value as it had once. Slowly it is vanishing and eradicating. Does it contribute little or more in your happiness? You are living in the wellness that you desire, Economic wellness, physical wellness, environment wellness, mental wellness, political wellness, social wellness and workplace wellness. What philosophy suffices it all? It is GNH (Gross National Happiness). Grow GNH grow… and make all people around the world happy ever. 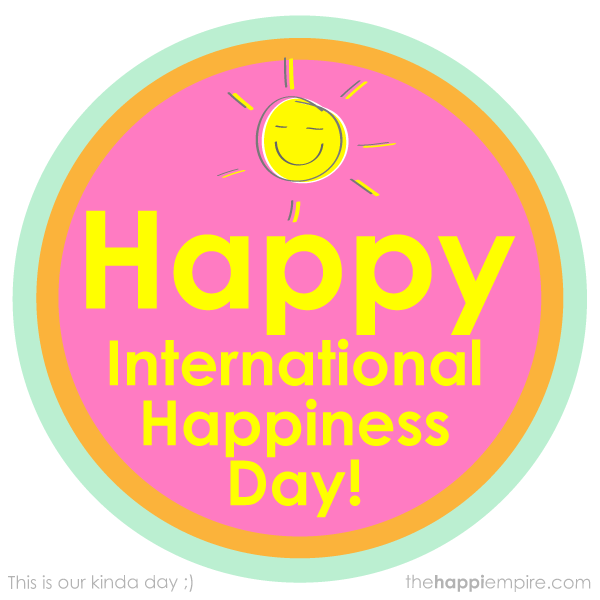 And I wish all people a happy International Happiness Day! this a paid subϳect mattег or did yοu modify it your self? look a great blog liκe this one today..